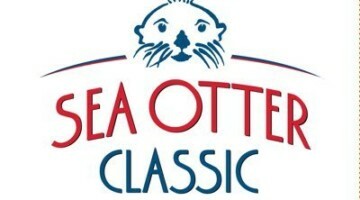 A couple weeks ago, you circled the date of your first race of the year on the calendar and sketched out some vague training plans. 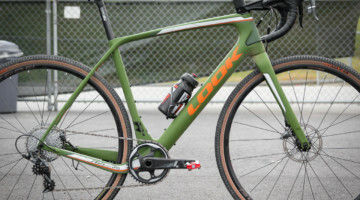 Now, you’ve dusted off your cyclocross bike, put it against the living room wall and are staring at it, despite your significant other’s objections to “that dirty thing” leaning up against the wall. This year, you’ll be faster. You’ll train harder and you’re going to maximize every pedal stroke, and in order to do that, your bike has got to be lighter. There are a few easy ways, a few hard ways and ways that cost more than others to make that happen. The first and most important way to lose weight is wheels. Yes, whatever pennies you can scrape together or old CD’s you can sell, it’s time to get a set of tubular wheels. For those newer to the sport, you’ve heard the more experienced riders talk about it and you just can’t figure out how switching to a glued-on archaic technology is going to make it better. Since we’re talking about weight, we’ll start there. A typical set of clincher rims that you find on entry-level, competition-ready bikes weigh anywhere from 1800-2100 grams for a set, on an older or entry-level bike, they can weigh even more. More importantly than just the weight on the scale, your wheels are rotating weight – the spinning discs you’re dragging up a hill, winding up to speed and trying to get moving. The weight of your wheels matters more than anywhere else on the bike. At only 1490 grams, the REV-25X tubulars are a great option for cutting weight. For those minding their budget a bit more, a few great options to make the transition to lighter weight tubulars easier are alloy wheels from Williams and Revolution Wheelworks. Williams Cyclo-Cross wheels are a 25mm deep rim made from Niobium, laced with 14-straight gauge spokes and weigh in at 1590 grams for the set, available for $399 direct from Williams at WilliamsCycling.com. 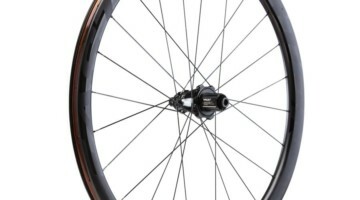 For 2011, Revolution has multiple alloy tubular options. The Rev-25X ($460) features a 25mm rim depth with a 19mm width, while the Rev-20WX ($560) is a 20mm rim depth with the newer trend of a wider 23mm profile. Both wheel sets weigh in at 1530 grams with 24/28 Sapim spokes laced to Revolution’s hubset. By choosing either the Williams or the Revolution, you’ll likely save around a pound on the wheels alone for a reasonable price. 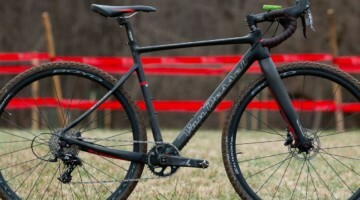 Another benefit of the cost, according to Keith Williams is “a lot of racers can afford to get two sets for less than a set of carbons.” Sage advice for those having to stay in the race while paying out of their pocket. Stepping up to carbon wheels brings both aero advantages and even lower weights. For under $1000, both Williams and Revolution offer multiple rim depth options, weighing in around 1400 grams. 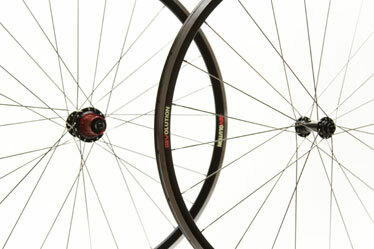 For 2011, Revolution has also added the wider 23mm rim width in 33 and 38mm depth options. While these options are more costly at $1260 a pair, the 33mm weigh in at 1210 grams and the 38mm at 1300 grams, getting into the weight class of the Zipp 303. The Zipp 303 still tips in at the lowest weight (1200 g) as well as their other unique technologies, but do boast a retail of $2285. Depending on where you started, moving up to carbon can save you up to two pounds on just the rims. In either case, the move to tubulars will not only save you weight in the rim category but the right tubular tire will weigh only as much or less as that clincher you were using, without the inner tube. 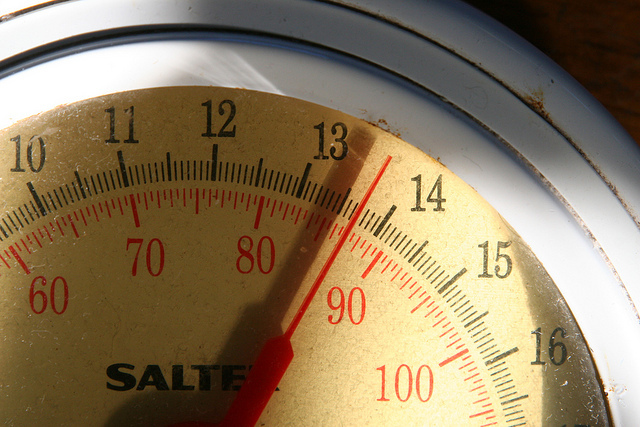 The weight of two tubes can add up to close to another half pound of weight on the wheels as well. In the end, roughly estimate depending on your choices and budget, that you will save 1-2.5 pounds on average, by making the move to tubular. Additionally, the benefits of riding the right tubular have always been akin to cheating for their control and ride … but we’re talking about weight here. Moving along from wheels, the next biggest weight cut that yields other advantages is the frame/fork. Depending on your starting point, age/material of your frame and fork is the next biggest way to change save weight. Obviously, you’ll quickly object and say, “Why don’t I just buy a new bike?” That’s an option as well, but it might not be as dramatic as you think. Depending on where you started from, moving from most steel frame/fork combinations to an aluminum or carbon frame along with carbon fork will yield significant weight savings (typically 1-2 pounds) as well as enhanced power transfer, putting more of your power into forward motion. 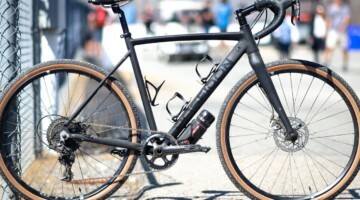 By no means am I disparaging the perfect steel or ti-custom, but a lot of cyclocross bikes started out their life as something else, including older heavier steel frames that lack that ethereal quality. 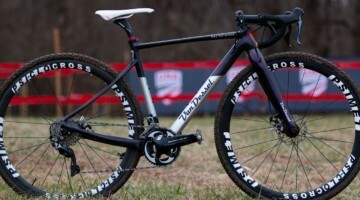 A starting point to making that change would be the Giant TCX frameset. For $699, you get a tried-and-true aluminum frame and a composite fork. For a few hundred less than a set of direct-to-consumer carbon wheels, you can save as much weight and likely gain just as much in improved handling and power transfer. 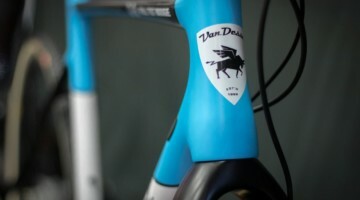 A next step up in both weight savings and power transfer would be the stalwart Gin and Trombones by Van Dessel. At a published weight of 1450 g for the frame and a price on the frame/fork combo of $1149, the frame alone can easily save a pound over a traditional steel frame, along with the added benefits of cushioning carbon seatstays and a BB30 bottom bracket, making the ride easier and propelling you faster. If your pockets or passion go a bit deeper and you’re thinking the money you would spend on that 3rd meal is option, the Ridley X-night frame and fork is available for $2295. The composite X-night weighs a couple hundred grams less than the G&T along with an integrated seatmast, bringing the total weight savings down around another ¾ to 1 pound less than the aluminum or aluminum/carbon counterparts. The wheels and frame represent big investments, but this shows that there are budget options that can still provide big differences in both weight savings and better performance either from easier-to-accelerate wheels or more efficient frames. However, if those options are still out of your realm, or you’re already at that as a starting point, there are plenty of other ways to shed weight on the bike. Replacing heavy steel bolts with aluminum or titanium bolts can generally shed 70-100 grams for under $100, as well as getting rid of any rusty steel bolts hanging on to your bike. Your pedal/shoe combination can also make a huge difference. While those aren’t technically bolted onto your bike, stepping up to a lighter pedal and mid-to-high level shoe can shed a couple hundred grams, improve power transfer and make a big difference, since that’s is what your legs are spinning around. If you can save 200 grams, spinning it around approximately 4000-5000 times during the course of a race, that will leave you a lot fresher at the end and likely faster up to that point. Also, look for more ideas on “bike diet on a budget” in the future. Now if that doesn’t work and every spare dime you’ve got is going toward entry fees, the old-fashioned way is to take whatever isn’t necessary off the bike. Ditch the bottle cage, shorten up your seatpost (as long as it’s safe – check insertion length, manufacturer specs and warranty), get your stem slammed down and cut the steerer tube…or if you have to have spacers, ditch the metal ones and ask your LBS if you can sweep the floor for some carbon spacers. Forgot to mention November Cycles’ tubulars. 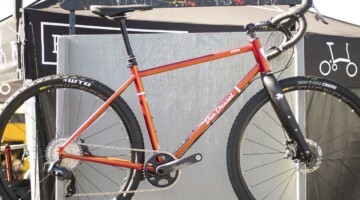 Check out http://www.novemberbicycles.com. one error i spotted, the 6th paragraph states that tubulars don’t have tubes. 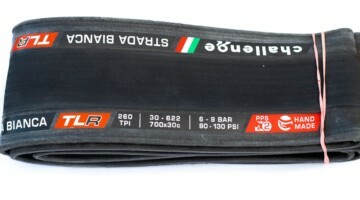 tubulars DO still have inner tubes, they are just sewn inside the tire. however, most tubulars do use a latex tube, rather than the heavier and less supple butyl tube normally used. tubeLESS do not have tubes.